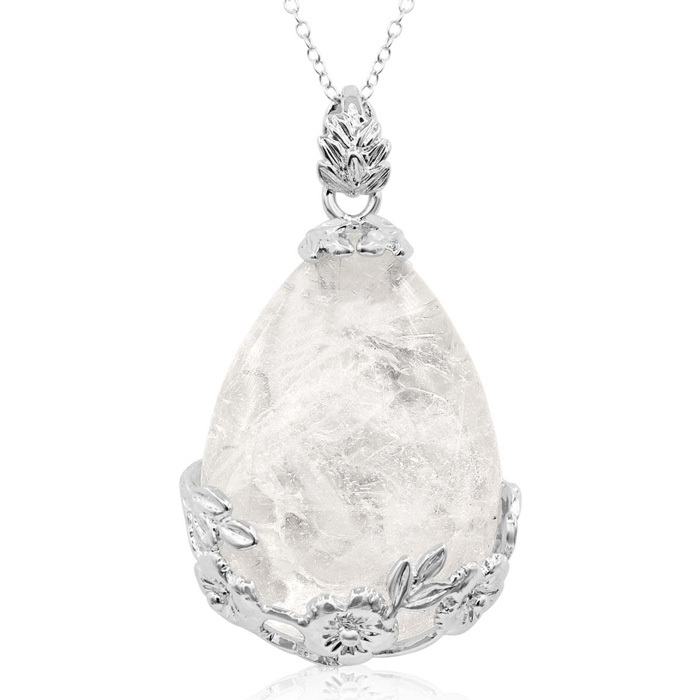 Rock Crystal, also called Pure Quartz or Clear Quartz is the clear colorless Quartz often seen in its rough extended crystal cluster form. 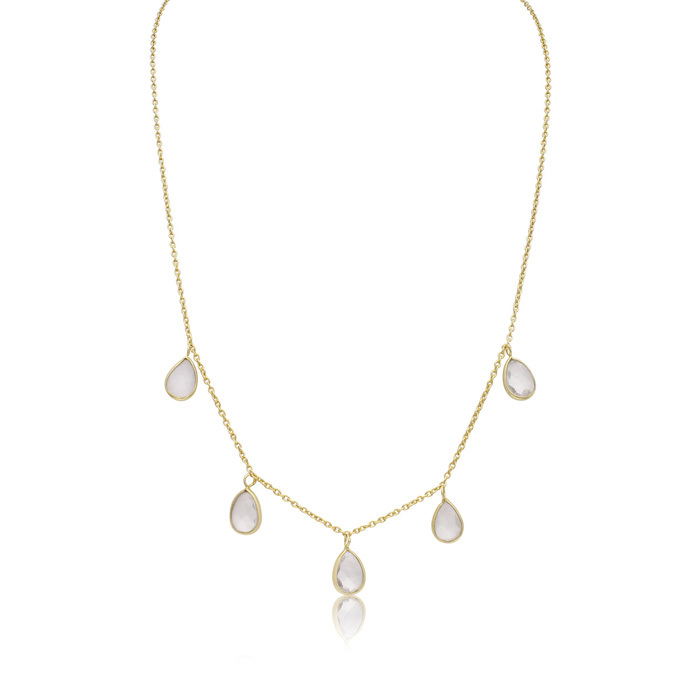 This gorgeous necklace features 5 pear shape clear quartz gemstones, each measuring 8x11mm. The entire cable chain is in 14 karat yellow gold over sterling silver and has a secure, lobster-claw clasp. The entire necklace is 18 inches long with a 1 inch extender. 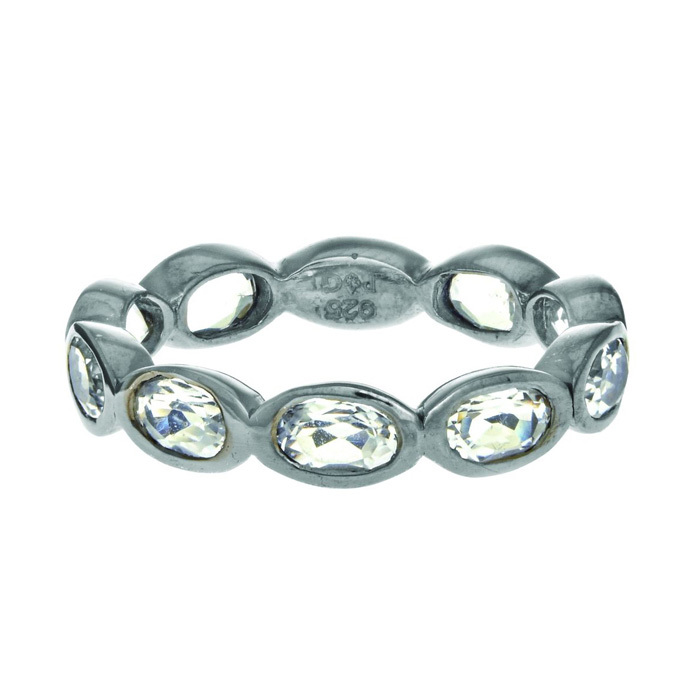 Total carat weight is 4 carats.